Members who have major fleet, transport operations and/or Plant Yards are requested to note the Waste Tyre Regulations published in terms of the Environment Conservation Act of 1989. The Regulations were published as Notice No. 149 of 13 February 2009 in Government Gazette No. 31901 of the same date. The purpose of the Waste Tyre Regulations are to regulate the management of waste tyres by Regulation uniformly in all provinces of the Republic. 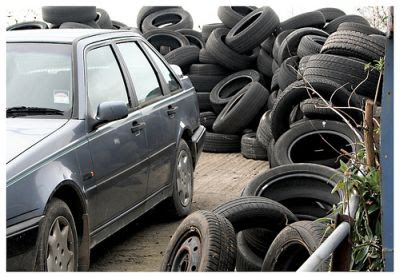 The Regulations are comprehensive and places obligations in respect of reuse, recycling and recovery of waste tyres. Of particular importance is Section 16 of Part 6 of the Waste Tyre Regulations dealing with the storage of waste tyres. A number of stringent requirements are imposed. A period of grace of one year is however granted in respect of compliance by any person who has stored waste tyres on the date of application of the Waste Tyre Regulations.